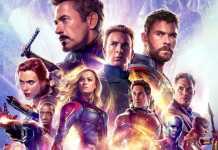 Avengers 4, the most awaited film by the fans of superheroes movies around the world have all of them in an awe after its first part Avengers: Infinity War. Today. We look at all of the leaks, rumours and spoilers we have up till now for the movie which are most likely to be true. First, we saw a concept art leaked and which clearly gave an overview of the characters we should be expecting in the film. The art shows Captain Marvel alongside the Avengers which was pretty obvious after the post-credit scene of Infinity War teased Captain’s Logo. War machine is shown to have some major upgrades. Ant-Man was also shown in the art but we didn’t see The Wasp which hints at Hope being a victim of Thanos’ snap. Captain America and Black Widow are back with their full costumes which means that they both aren’t on the run anymore. Also, Hawkeye is also shown in the art with a dark suit which supports the theory that he’ll suit up as Ronin. Finally, the Hulk is shown very differently with him wearing a suit. It was confirmed by some set images on the internet that the Avengers would be travelling back in the time to revisit the Battle of New York. The set photos clearly indicated Captain America wearing his suit along with Iron Man and other Avengers in the looks of first Avengers, it could mean only one thing – that either they are using Stark’s B.A.R.F –Technology – Virtual Reality tech or time – travel. Evangeline Lilly dropped a set photo showing her hair in a bob; while Hope wore her hair in that style in Ant-Man, she’s ditched it by the time of Ant-Man and the Wasp. Chris Evans was snapped filming a scene set in the past, as he walked down a street filled with classic cars. Marvel casting calls included an appeal for actors to play an office scene set in the 1960s. Last Year in November, an anonymous user posted some major leaks on 4chan. The post was for both Infinity War and the Avengers 4. While a bulk of the predictions were true for Infinity War, we can safely assume that most of the predictions are from a reliable source. While the post was swiftly deleted on 4chan, but Redditors already had that post in their forums. 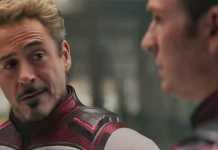 For Avengers 4, according to the post, Avengers 4 is indeed a time-travel film, with Iron Man deciding to undo Thanos’ “snap.” The reassembled Avengers team up with Ant-Man in order to use the Quantum Realm to travel through time, retrieving Infinity Stones from different time-periods for use in Iron Man’s own Infinity Gauntlet. Along the way, the Avengers created a number of different timelines (probably not permanent ones) – including one in which they’d retrieved the Power Stone, and the Guardians of the Galaxy never came together. Thanos learns about the Avengers’ plans, and is hell-bent on stopping them. The post also said, only two of the original Avengers survive the movie with Captain America giving his life to stop Thanos. Due to changes in the timeline, Mjolnir has been restored, and Cap actually wields the enchanted hammer against the Mad Titan before being killed. At one point, Hawkeye must protect the unfinished Stark Gauntlet and plays an “instrumental” role in Thanos’s defeat. The Hulk and Banner identities, meanwhile, merge into the “Professor Hulk” persona – and Hulk is the one who ultimately wields the Gauntlet against Thanos, losing an arm in the process. This particular leak is highly believable, not because only that its infinity war predictions were true, but it didn’t contain a character who was a victim of the snap of Thanos. But still, note that all of the predictions were not true for the Infinity War as well, it seems the source had an access to an early plot and as we all know Marvel excels at changing things last minute, it could probably be the case that these predictions/leaks turn out to be duds. Avengers 4 title has been creating much of a hype. With Kevin Feige suggesting that it will be a kind of spoiler, Marvel has been having it tough to keep the details under the wraps. Anthony Russo recently revealed that Marvel chose the film’s name fairly early on during production. “It speaks to the heart of the story,” he explained, in what’s possibly the biggest hint to date. According to the Russos, the closest anyone has gotten is Avengers: Forever. “The actual title is The Avengers: Almost Forever,” Joe Russo said. Avengers 4 title is being a centre of attention for the fans with everyone speculating so much that Marvel has been frustrated with everyone being so fixated on the title. What do you think about these rumours and leaks? Let us know in the comment section below! Breathe Episode 8 Review – Finale Will Leave You Shell Shocked! !